Pictures 4-1, 4-2, and 4-3. 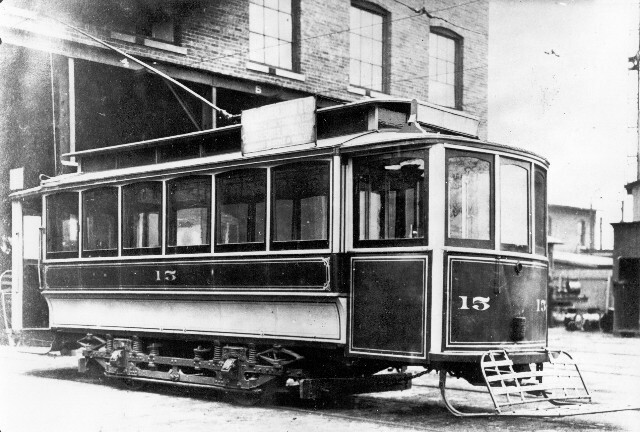 Three pictures of car 15. The top picture shows three crewmen, probably motorman, conductor, and a supervisor. 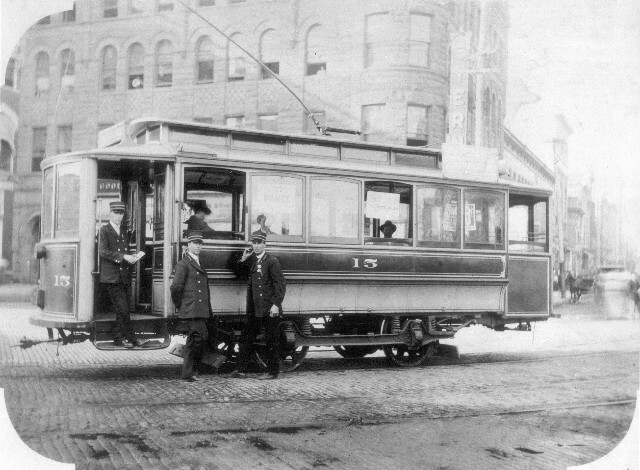 In the middle photo, dated 1904, the car is signed for Junction, and the conductor (left) and motorman (right) are posing for the photographer. The bottom photo was probably taken by the company at the car barn in 1910, just before the car was converted for P.A.Y.E. 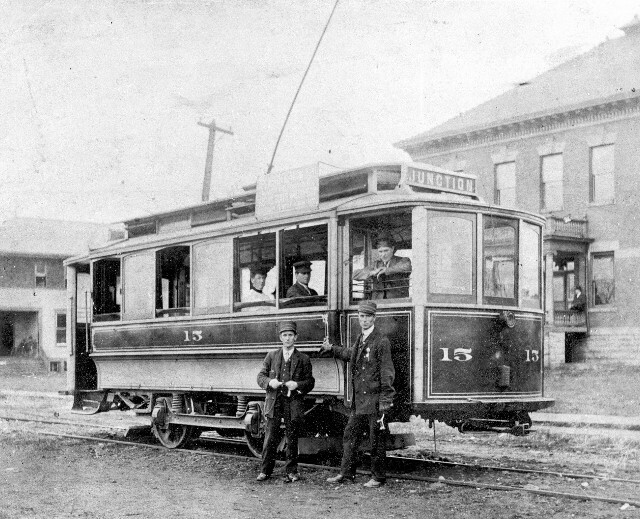 service; similar photos at other ITS properties are known to have been taken at that time. Note the newly added fender.